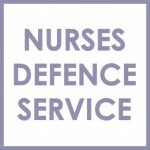 Nursing Law | Nurses Defence Service – UK. Nursing Law can incorporate many aspects of healthcare, medical law and policy. Our lawyers are experienced in advising nurses on the various laws and regulations that affect their work and clinical decision-making process, in a variety of clinical and non-clinical roles and specialisms. We are specialists in Nursing and Midwifery Council law. Policies, protocols and the statutory frameworks governing the provision of nursing and clinical services and staffing will differ between the NHS and private sectors, and often between countries (for example England and Wales). Our lawyers regularly advise nurses and nursing care centres on the law relating to clinical procedures and nursing frameworks. Our lawyers can advise on NMC Law, Employment Law, and Inquest law. Here we digest civil cases that concern nurses. In Daniel & Anor v St George’s Healthcare NHS Trust & Anor  EWHC 23 (QB) – a nurse was found not to have been negligent when attending to an unwell patient in a cell, within a prison (January 2016). See also our NMC Case Law page for the latest appeal case law affecting NMC decisions.